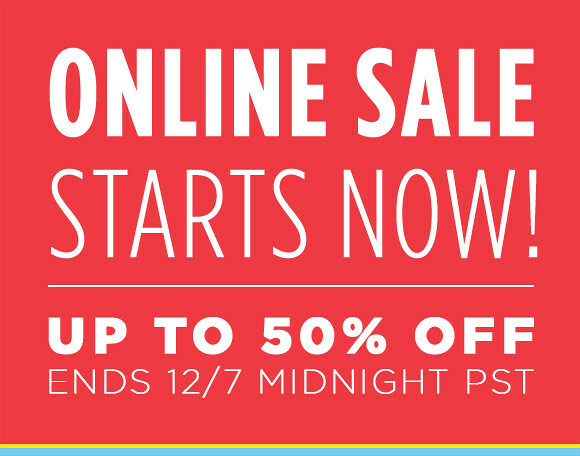 Online Sale Starts Now! Ends on Dec 7th. Our annual online sale starts now and last only a couple days, ends on 12/7/2011. Some items up to 50% off. Go!